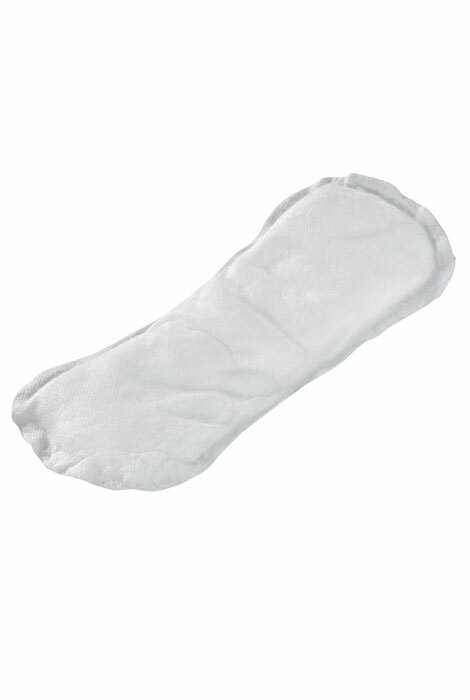 Each pad measures 4" x 8"
Finally ... discreet protection for light incontinence now comes in cool 100% cotton! 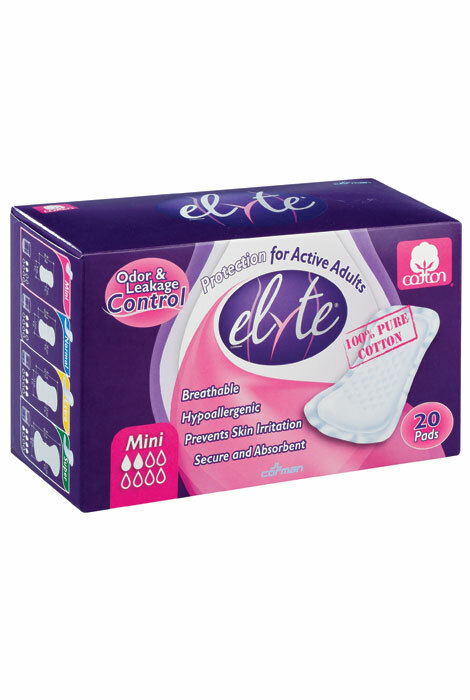 These marvelous mini Elyte incontinence pads are designed in Italy by the only manufacturer in the world offering 100% pure, natural cotton-core incontinence protection. These adult incontinence pads' sleek contour shapes offer a comfy fit, making them great for yoga class or everyday use—protecting you from occasional bladder leakage caused by stress incontinence. Patented micro-encapsulation technology absorbs wetness and odors while allowing skin to breathe. Securing with self-adhesive strips, they’re dermatologically tested, hypoallergenic and free of latex, alcohol and chlorine bleach—reducing your risk of skin irritations. Box includes 20 disposable incontinence pads. Each 4" x 8" pad offers 4 oz. absorbency.